This Elvis Presley biography Elvis presley concert page is dedicated to providing quality Elvis Presley biography information, pictures and articles for your entertainment. 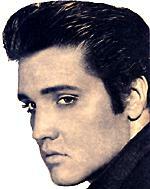 The contents of this Elvis Presley site is written by a fan for his fans about Elvis presley concert. Elvis Presley’s Arizona memorial, benefit show. Elvis performs to raise $50,000 for the Arizona Memorial. Elvis put in $100.00 of his own money as a starter. Elvis would make this benefit show a personal drive to raise $50,000 for the USS Arizona Memorial memorial fund. 1961, Saturday March 25, the benefit show was held at Pearl Harbours Block arena. This appearance would be a first for Elvis outside his home town Memphis Tennessee. His last public appearance was in Honolulu, being over three years ago. There were around 4,000 seats available, with one hundred seats available at ringside, which would go on sale for one hundred dollars each, the rest of the seating tickets would be for sale at a price to suit everyone’s pocket. The Arizona Memorial benefit show was very successful raising a total of $62,000 for the Pacific War Memorial. The half-million dollar, 186-foot-long U.S.S. Arizona Memorial concrete faзade was complete about twelve month’s later, credit for much of the funding has always belonged to Elvis Presley. Elvis wasn’t able to return to the Memorial until 1965 due to his busy schedule.Chairman of the Pacific War Memorial Commission, Tucker Gratz, greets Elvis.Elvis and Colonel Tom Parker honour the ship and the men who lost their lives at Pearl Harbor with two 5-foot wreaths, each wreath bore inscriptions on gold ribbon. The wreath in the shape of a bell with the words “Gone But Not Forgotten, form Elvis and the Colonel.” “USS Arizona,” covered with red carnations across the bottom of it. The bell shaped wreath was made with exactly 1,177 carnations, in honour of each man and officer lost on the Arizona. This autobiography page is dedicated to providing quality Elvis Presley biography information, Elvis presley concert pictures and articles for your entertainment. The contents of this Elvis Presley biography site is written by a fan for his fans. Description of Elvis Presley biography site contents: This site contains Elvis Presley biography information, Elvis presley concert, Elvis Presley biography, history on Elvis Presley life story, Elvis Presley pictures and photos, Elvis Presley song lyrics, Elvis Presley movie resources, free e-books and articles listed for your convenient search in subjects of: Elvis Presley pictures and photos, Elvis presley concert, Elvis Presley song lyrics, Elvis Presley movie resources, Elvis Presley childhood, Elvis Presley Band members biography, Elvis Presley girlfriends, Elvis Presley biography, Elvis presley concert, Elvis Presley spiritual medium stories, Elvis Presley Memphis mafia stories, Elvis Presley biography, Elvis presley concert, Elvis Presley diary quotes, Elvis Presley movie and music Elvis presley concert details in relation to the Elvis Presley autobiography and interviews of friends and family members for the Elvis Presley biography website written by a fan for his fans.